Retail shrinkage is a multi-billion-dollar, multi-layered monster that affects organizations throughout the retail industry. In the United States alone, loss of inventory due to shoplifting, employee theft, or other errors collectively cost retailers almost $100 billion worldwide—or about 1.82 percent of global sales—in 2017. To address the problem, retailers have tried several different methods, from using mirrors to expose blind spots in stores, to installing video surveillance and investing in electronic article surveillance tags, but organizations still fall victim to shrinkage. Moreover, the problem spans beyond the physical store and has roots throughout the entire supply chain. Retailers understand they must do more to address shrinkage and have slowly begun to embrace advanced technologies, such as Mindtree‘s artificial intelligence (AI) and IoT-enabled solutions, as a new set of tools to protect their assets. Whether you are an AI skeptic or an enthusiast, the following real-life scenarios illustrate the impact of AI and IoT and demonstrate ways for the retail industry to reimagine their loss prevention strategies with advanced technologies. In the first example, one large retailer identified up to 84 different kinds of internal fraud that contributed to one-third of their overall shrinkage. While their CCTV provided helpful evidence when they were investigating the situation, it was ineffective in offering real-time remediation. 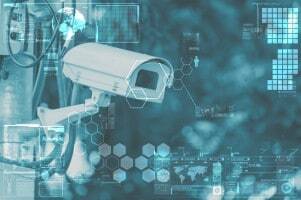 They realized that they needed to invest in a solution that was effective in both intervening and preventing shrinkage and decided to install intelligent video surveillance with AI-based video analytics for end-to-end monitoring and detection. The first step of the implementation process was to examine older CCTV clips from the retailer’s legacy system to understand patterns, frequent transactions and the flow of customers and employees. These video clips were analyzed using deep learning technology to detect reoccurring events and categorize them as normal or suspicious activity, and determine anomalies. Using an AI vision model, in addition to the traditional video surveillance system, they could detect and categorize activities such as “cash register open” or “scanning the product” and map transactions against normal store activity. This process revealed instances of refund fraud by store staff, where refund transactions were carried out when there was no customer in the store. By correlating transactions with AI-powered video analytics to map foot traffic and time of day, the retailer was able to predict abnormal activity with a high degree of accuracy and confidence. The retailer has recognized the accuracy and level of sophistication of intelligent video analytics and intends to scale up the operations to a real-time deployment across multiple store locations. With advanced AI capabilities, the retailer will be able to remotely identify suspicious activity and POS transactions in real-time to prevent fraud as it occurs. While the above case study is an example of loss prevention at the point of sale inside a store and in a closed environment, shrinkage also frequently occurs in broader contexts within the supply chain. An organization in Asia was challenged by the amount of theft that occurred as products were transported from farm to factory. Throughout the supply chain journey, the company’s processes were manual and disjointed, including vehicle number checks, verification of delivery orders, driver details, data entry etc. They suffered a great deal of theft, and a notable amount of farm produce went missing during transport. In some instances, large stones of equivalent weight were added into the truck to mitigate suspicion. This pilferage was difficult to contain, labor intensive and impractical to address through manual interventions. After new technological capabilities were integrated at every stage of the supply chain using a combination of AI, IoT, and computer vision, the customer could gain valuable insights, enable greater control over operations and mitigate theft. Now, when the truck arrives at the factory, the truck driver presents a delivery order (DO) that is scanned. Once scanned, the computer vision module reads the DO, uses algorithms to correct the image and cognitive services to extract and store relevant data such as weight, load details, shipment number and product information. This data is automatically paired with the truck using license plate recognition and the driver using face recognition. At the weigh bridge, real-time weight data is stored and uploaded into a integrated IoT platform. At the same time, AI is used to detect the presence of foreign objects. From farm to store, AI and IoT-powered solutions are used to capture data and decrease fraudulent activity at every stage. An AI-led approach is truly an innovative way to address shrinkage, as demonstrated in the aforementioned examples. However, one of the main challenges is the democratization of AI and advanced technologies and the proliferation of proof-of-concepts or pilots that do not scale. There are also fast-evolving trends in technology, like “AI on the edge.” The key is to have right technology considerations in the solution architecture that will yield the business case/ROI—and a clear roadmap to scale. Once this step is in place, companies can provide associates with access to the information they need, when they need it and teach them how to use it to mitigate loss. This enables employees at every level to do their jobs more effectively and profitably. Working with an experienced IT consultant allows companies to assess their current operations and loss prevention strategy, integrate AI-powered solutions and ensure key leaders and employees understand how to interact with new technology. The future of retail and loss prevention is being driven by AI. When adopted correctly, AI can be used to prevent loss and oversee inventory to reduce shrinkage and impact the bottom line.